It’s time to look at the new Jurassic World film. The franchise has typically received low scores from me as it ranges in the 3-4 star category, but maybe this one would be different. I can’t say that I had high hopes for it to be honest since the trailers were rather worrisome with the dinosaurs getting trapped and everything. Unfortunately the movie is as bad as I feared with this part being played up a lot. As always the humans seem to have the edge on the dinosaurs which defeats the entire point of the franchise. Definitely a film that you are going to want to give a pass this time around. The film starts off with the world wondering what to do about the dinosaurs over on the island. It’s about to explode so all of the dinosaurs will die unless the government makes a move. The lobbiests don’t care much since they can’t make a quick buck so the government decides not to intervene. This is when Mills decides to save all of the dinosaurs and calls up Claire. Claire is certainly eager to help, but what she isn’t quite as enthusiastic about is having to call up her old friend, Owen. Owen doesn’t want to help and prefers to drink a quick beer, but ultimately he decides to go along since the movie would have been over otherwise. The heroes are double crossed and all of the dinosaurs are captured. The heroes decide to plan a rescue op, but are they really ready for this? This movie makes quite a lot of mistakes and the first one is one that I already referenced. The dinosaurs spend the whole movie being captured and humbled by the humans. They are caged up and easily defeated by sedatives. Naturally this makes sense as humans will always win thanks to their tech, but it doesn’t make for an interesting movie. After all, how can you be scared of these creatures if they are always losing? That’s one thing that the original film did better than the sequels since there wasn’t much tech at the place so the dinosaurs had control from start to finish. By putting them at the bottom of the food chain, it just doesn’t feel like a true Jurassic film. Any scene with the humans and dinosaurs is typically brutal for this reason. There’s just way too much animal violence here for the film to have ever stood a chance. Then the film tried to play up the tragic angle by having a ton of Dinosaurs die a slow death as they realize that there is no way to escape the island. We understand their fate from the start so why do we have to watch it? Even after the main characters have gone through their tough experiences they end up making the wrong call and don’t want to help the dinosaurs. It makes you wonder why we didn’t get a better main cast. Owen is basically the same character from the last film. He’s always ready with sarcastic comebacks, but at the end of the day he is just looking out for himself. He takes a lot of convincing to go to the island to help out Claire and even then he only seems to do it for her and not because he actually cares about the dinosaurs. He makes it abundantly clear that humans win out in the end. He has a good action scene though and makes for an amusing character. He’s not a heroic character, but I suppose he has his moments. Then we have Claire who has done her best to help the dinosaurs. She is certainly a lot more noble than Owen. It’s just a shame that she didn’t use the last few years to workout more to prepare for another skirmish with the dinosaurs. Her romance plot with Owen is still pretty iffy as well and could have been cut out entirely. She’s not a bad character and doesn’t panic all that much anymore, but it would be nice if she could have done a little more. Mills is the main villain and he isn’t quite as fun as the last one. He’s your classic rich villain who just likes to see the profits at the end of a long business deal. He isn’t very smart and doesn’t do a great job of covering his tracks, but since none of the other characters are that smart is tends to work out. There’s just nothing to differentiate him from the rest of the corporate villains so he will be forgotten very quickly. Franklin is the comic relief character in the film. You do always have to question if a comic relief character is needed when the film is already part comedy, but I suppose the writers wanted to cover all of the bases. None of his jokes land and they are all ones that we have already heard. Franklin is just out of his depth here and it’s hard to see how he has lasted so long anyway. He naturally has his big moment at the end, but you won’t be able to take it seriously. Zia is the touch character of the group and is made to be a complete contrast to Franklin. She talks back to all of the villains and constantly gives everyone attitude. She is ready to help the dinosaurs and never gets scared. The character can be a bit obnoxious like throwing out random insults for no reason, but I’ll definitely take a fearless character like that over someone like Franklin. Then we have Maisie who comes equipped with her own subplot and a plot twist that the sequel will probably delve into. She’s a decent enough kid who is smart during some moments and less so in others. Once she found out that the villain was doing something behind her grand father’s back she should have called the cops. Of course, he should have done the same thing but made the worst move in the film as he asked the main villain to call the cops. That’s certainly never going to happen when you’re dealing with a legitimate villain. Maisie wins back some points for making the right call at the end of the film though so I’ve definitely got to give her credit there. As far as the new dinosaur goes, the design was fairly lazy. 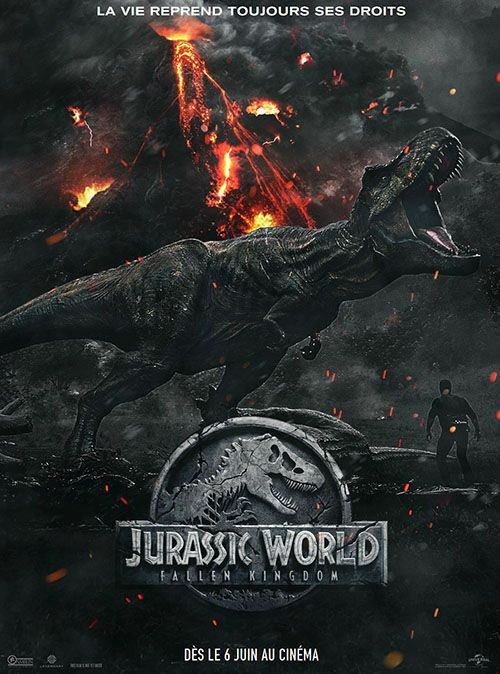 It just doesn’t have as much personality as the big dino from the last film as it just looks like a big raptor. There’s not much to say about it and while the dinosaur is very strong, I think the T Rex probably could have beaten it. Intelligence was its most potent weapon and that won’t help much when you’re being overwhelmed in a fight. Blue was a loyal dinosaur as always and looked pretty good. It’s just a shame that everyone is always after it and Owen isn’t strong enough to protect her. This is why Blue certainly made the right choice in the end. The ending of the film is decent as we finally may get to spread things out a bit. Hopefully it doesn’t just lead to the cops shooting dinosaurs all around though as we get to a Transformers situation where the humans have once again gained the upper hand. Hopefully we get to see the water dinosaur again as it keeps on getting quick cameos but then the film is afraid to show it any longer. I get that the dinosaur is OP, but I would still like to see him be featured more. Due to the nature of Dinosaur films though, it’s unlikely that we will ever see a Jurassic World film that is actually good. At most we get glimpses of what it could be like with these two films when the dinosaurs aren’t around. It turns into a bit of a cheesy comedy with less than amazing characters, but at least it’s an enjoyable film. As soon as the dinosaurs come in they bring with them a whole slew of negatives that outweigh the positives. The writing certainly isn’t good which goes without saying. Nobody knows how to act around dinosaurs and the characters are so busy trying to be funny that they don’t seem to understand the gravity of the situation. The film even throws in some crude humor in an attempt to be funny, but like everything else this film failed at that as well. Also, you may not want to bother sticking around for the after credits scene as it’s a little pointless since we already get the general idea of it from the normal ending. I was hoping for something with a little more impact like another super dinosaur running around. That would have been a little more exciting. At the very least, I would have liked to have seen NYC get involved. Overall, Fallen Kingdom is possibly the weakest Jurassic Park film. Currently I believe I have the weakest one as either being the first or the 2nd. It’s a tough call though as those 2 and Jurassic World all got 3s if I recall correctly. This one just combines the weakest elements from the various films and pulls them all together. It brings back the annoying human characters from the last one, throws in the goat scene from the first film, and also brings in the government involvement from one of the other films, but adds it on quite a bit more than any of the others. It’s just a very mean film and one with no replay value. If you like Dinosaurs then this is a film that you will want to skip. I’d sooner recommend checking out an iconic Godzilla film like Final Wars. That movie will still give you big creature fights without any of the extra stuff. 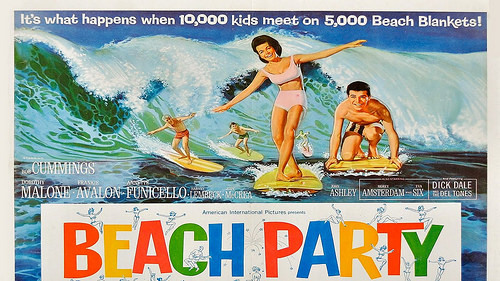 It’s time to look at another old school beach movie. This one’s title is pretty well suited for the movie since that’s really the extent of the plot. The heroes are going to have a big party on the beach so cue the hijinx and shenanigans. It’s definitely not a film for the faint of heart or for those who like to watch quality films. If you like the beach genre though then I think it’s fair to say that you will like this film. After all, that’s what this one is all about! The main characters are Frankie and Dolores. They have decided to head over to an abandoned beach house so they can finally hang out without the rest of the gang. The two of them like their friends of course, but sometimes it’s best to just get away from all of them. At least that’s what Frankie had in mind, but then Dolores admits that she actually didn’t like that plan so she invited everyone to the house. Frankie gets upset and after Dolores gives him the silent treatment he decides to get even. He’ll get together with Ava to upset her and in retaliation she gets together with an old guy named Robert. Both of them have to push this as far as they can until the other relents, but who will crack first? The plot of trying to get the other person jealous is always a classic for the romance genre, but it’s still not a good plot. While they are using these other people the main characters are also degrading themselves. Frankie does let Ava have her way with him even though he puts up some mild resistance. You can tell that he is rather half hearted about it. Likewise Dolores is quite extreme with Robert and seems willing to do anything. It’s only thanks to Robert continuing to refuse her that things don’t go too far. These actions don’t make the two leads look very good at all. It probably works more on Frankie than vice versa. He gets upset enough to go and threaten Robert a few times although that never actually goes anywhere. Frankie always appears to want Dolores back (but not enough to apologize) while she is content with Robert. Again, that plot only ended because Robert actually broke up with her instead of the other way around. That’s why you will actually feel bad for Ava by the end of the movie. She was just fine by herself until Frankie decided to claim her and then he just dumped her when her use was at an end. She really got a sour deal but fortunately she didn’t take it too hard. As for Robert, I’m afraid that he was a bad character from the very beginning. He is writing a book on the teens which essentially involves spying on them 24/7 while laughing like a maniac the whole time. Having a romance with one of them is naturally just as cringe worthy. This character definitely didn’t need to be in the film and I think it’s safe to say that he is nowhere near the villains from the previous beach film that I saw. The only thing interesting about him as a character is that he is a master martial artist. He can actually bend time to his will using a technique that freezes a person in time for hours. That’s extremely useful if you think about it. Then we’ve also got Eric Zipper and his gang as per usual. They still get beat up by every character who encounters them, but I suppose they try their best with their sound effects and over the top reactions. I’d say that you would root for them after a while, but that’s definitely not going to happen. Lets just say that they weren’t ready for Robert. The scene where Robert first confronts them may be the best scene in the film. As you would expect the romance in this film is terrible. The characters all seem to be fans of rebound maneuvers as they switch partners very quickly. The characters can get betrayed multiple times and overlook it quite quickly. Robert’s partner pretends not to like him, but then gets jealous when he partners up with someone and doesn’t mind being the 2nd choice at the end. The characters must just have very low self esteem to not mind all of this. None of the characters know what it means to slow down either as they jump right into the romance as soon as possible. Definitely makes you double think if being with one of them is the right move since you can’t trust any of the characters here. Then we’ve also got the Beach scenery which doesn’t do the film any favors. It always goes for poor camera angles to add as much fanservice to the film as possible. It’s something that you don’t see too much in live action which shows you just how low this genre will go. I’d say that I expected better from the Beach genre, but honestly this is what you would expect from beach movies. Typically beach scenes in any film or show are some of the worst so a whole film taking place there just isn’t a good idea. The film just hasn’t aged well. Especially Dolores’ song where she basically admits that she should concede defeat first even though Frankie has just as much to do with the issue. Maybe more if you think about it since he certainly gets away with more than she does. Overall, Beach Party is a film to avoid. None of the characters are good and the romance is terrible. There aren’t many redeemable scenes in this film and any scene that is around gets surrounded by bad ones. You need to stay as far away from this film as possible, but fortunately the title probably tipped you off to that from the beginning. The Beach genre is one that definitely deserved to be taken down a few pegs. Imagine seeing this in theaters? That’d be totally crazy. I’m ready for a Winter Mountain film genre to take off instead. I think that would be a lot better. Ben Hur is definitely a film that I’m sure just about everyone has heard of at some point or another. It definitely became very well known as a film taking place during the crucifixion but seen through the eyes of a Roman centurion. It’s a pretty different take and in this case it is not the main plot. 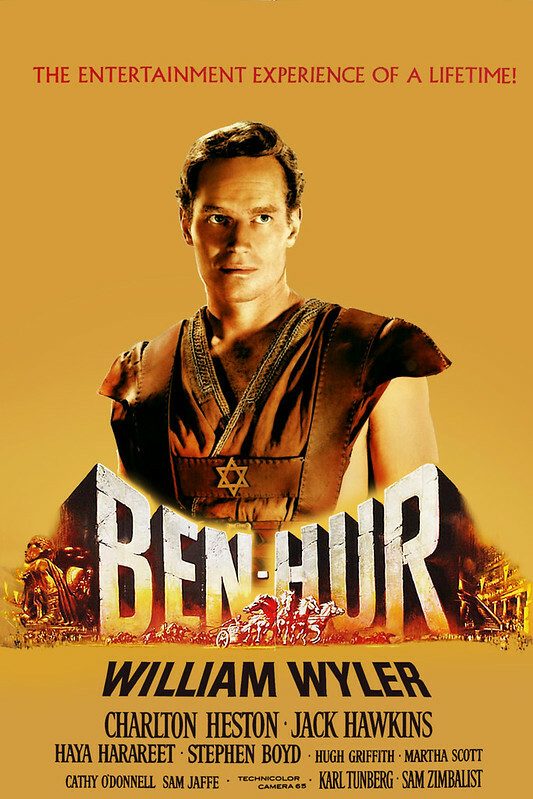 The main focus of the story is on Ben Hur and Messala. They used to be friends for many years. That all changed when Messala became a high ranking official for Rome. He began to obsess over proving himself to the empire and wanted Ben to help him find the Jews who were not complying with his laws. When Ben refused they became enemies. Unfortunately Ben’s sister accidentally puts Messala’s superior in a coma which gives Messala a good excuse to imprison them. Ben is sent to a ship where he will spend his life. Can he ever get off? Well, most of you know this story from the horse race so you can probably guess where the story goes from there. At its core Ben Hur is really a revenge story as he tries to take Messala down once and for all. The horse race is definitely quite long and intense, so fans of that kind of sport will enjoy it. I’ve never cared for horse racing because whipping them is just barbaric. They made a point to show that Ben doesn’t hit his horse at least, but you’ll definitely feel bad for the other horses. At least none of them were seriously injured or anything during the race which was good. Definitely a very tense moment throughout. After the big climax it’s fair to say that the film slows down quite a lot. While parts of the climax are needed like Jesus appearing again and meeting Ben Hur, we could have done without the subplot of Hur’s sister and mother becoming lepers. At least shortening some of their scenes or something. The film also shows how Ben starts to go down the same dark path as Messala after a while which fortunately concludes with him not going that far but it does make the lead hard to root for at times. Watching the film will definitely remind you of how tough things were back then. The Jews were enslaved by the Romans for a very long time and throughout history they were always being attacked or invaded by other groups. It’s easy to see why in this film a lot of them have given up on waiting for God to avenge them or to settle things diplomatically and just want to attack. It’s certainly the easiest option but not always the right one. The two don’t have to be mutually exclusive as there have been many cases throughout history where fighting the oppressors is the right thing to do. You just have to look at each individual situation. The film does its best to show Messala as being more than a one note villain. He’s not insane at all and his goals do make sense. From his perspective, Ben is essentially aiding terrorists instead of his long time friend. Naturally this betrayal stings and he isn’t the kind of guy to allow a slight to go unpunished. Of course he is evil as made evident throughout the film so don’t mistake understanding his goals for actually justifying them. He’s an entertaining character who is always fun to have on screen and makes for a compelling villain. He certainly gave Ben a good fight although it’s clear that Ben was more skilled as he won despite several disadvantages. The scenery definitely appears to be accurate to what the land must have looked like back in the day. There definitely weren’t a bunch of shiny skyscrapers or anything like that in these days. It was just a lot of desert and stone surrounding the area. The designs for the chariots and the horses were on point as well. I do have to say that if the building tiles were so fragile back in the day then I’m glad we found a better system. Clearly the tiles breaking is a rare occurrence as the main characters would have been more prepared otherwise, but definitely still not a risk you want to have. Ben Hur isn’t a pleasant film to watch, but it’s certainly a long one and a film that has really gone down in history as being iconic. It’s probably one of the first ever revenge stories to really hit it big. If you take away the Biblical aspects of the film then it would certainly fall quite a bit, but with that part of history included it certainly makes this film a lot more legitimate. If you are interested in seeing more of this point in history from a fresh perspective then it makes sense to watch this film. Be sure to take a break during the intermission though as otherwise it will definitely feel like a very long adventure. It’s time to look at a film about babies who can fight with adults. Does this sound like a terrible premise? Yes, yes it does. I’ve never been big about having kids and babies in films, much less the center role. They tend to be more annoying than anything else. This film may not be quite as obnoxious as you would expect based on all of this, but I still wouldn’t call it a good film. This is one time where I do agree with the overwhelming majority that this film should not have been made, much less have been given sequels. While this one may have stayed classy for the most part, I somehow don’t think the sequels will have the same restraint. The film starts off with the evil organization trying to stop a baby from escaping. His name is Sylvester and he is the smartest baby of them all. He flips a bunch of adults around and outruns them even though he is clearly just waddling. Somehow or another he breaks out of the instillation by hiding in dirty laundry and swaps places with his twin who was given a normal life. The villains have him now (Whit) and they don’t mind since part of their convoluted plan is to see which Baby would develop better. See, another part of the plot that I didn’t mention is that Babies are born with the secrets to the universe. They know everything and only lose this knowledge when they grow up. The reason why nobody knows about this is because they’ve all made a pact not to disclose any information to adults. We’re led to believe that every baby in the world is in on this and they have never made a slip up. Even when they debate on what they should tell their parents, they always decide to start with Mama or Dada to follow the tropes. Can Sylvester save Whit and prove that feigning ignorance is always the best policy or will they use the secrets of the Universe for positive effects? I guess the opening scene isn’t handled too badly. It’s played pretty seriously aside from the Baby beating them up. The Baby can’t act and I just can’t believe that a baby is beating up these agents though. Physically Sylvester is still just a baby. I don’t care how smart he is or how much of a genius he has become, it’s still a little unreasonable to have him going up against trained professionals. You’re not supposed to take it too seriously since it’s a comedy I suppose, but I still can’t roll with that. Especially since it’s relevant to the whole premise and we never get such a fight again. After that it all goes back to the Babies being super smart, but not necessarily ultra powerful. There is one running gag that’s pretty bad and you have to wonder why it’s here. A teenage guy decides to rebel..because he doesn’t like his job I guess, and keeps trying to dress outlandishly so he can be fired. He’s also disrespectful and tries to break all of the rules. However to spite him…the owner forces him to keep the job. I get that spiting people can be entertaining, but in this case, the business is losing money and risking its reputation all to spite the guy. That makes no business sense and the characters must not be very smart to try and pull this off. You’ll be shaking your head the whole time during these scenes. There’s also your typical baby humor that certainly doesn’t age well. It won’t make you smile let alone laugh. The only decent joke was when Sylvester enacts a really obvious plan to hit the villains where they hurt so they dodge but then they end up getting hit anyway. It even happens twice for extra emphasis. I could get behind that joke as it at least pointed out that these minions were better than the average ones, but it’s a small victory considering everything else. The film doesn’t drag on at least as it isn’t too long. There just aren’t many stand out moments. Again, the babies are just annoying and they never actually do much. The humans don’t leave much of an impact as well. I guess it’s good that the Dad can understand the Babies a little, but not enough to do much. From the villains I only liked the Director who pointed out how great the operation was. His boss was less charismatic. I do like how everyone knows she is evil, but she’s still allowed inside the main characters’ house though. Those guys aren’t very smart if you ask me and they take the whole “She’s stealing their ideas” knowledge very casually. If someone was stealing my ideas and making big money off of it I would certainly have a few options on what to do and I’d weigh them carefully. Standing around and making jokes about it wouldn’t be in my top 10. While I’ve been bashing the film a lot, it’s not as if it’s a terrible film. I’ve certainly seen far worse ones. The main problem is just the fact that the babies get a ton of screen time and really don’t need to be here. Much like the film doesn’t. I think for this plot to work they at least have to be kids and even then I’ll be annoyed. Teenagers are really the youngest age at which you can have the characters fight and do well without it being too obnoxious or cheesy. That’s the way that I see it at the very least. There also should have been an easy Baby if you ask me since that would have at least given Sylvester to fight. He doesn’t really get a final fight as the film’s climax is ironically a little more about the adults as they have their big confrontation. It was nice to see the Cops show up at the end…they were just almost 2 hours too late to really help. 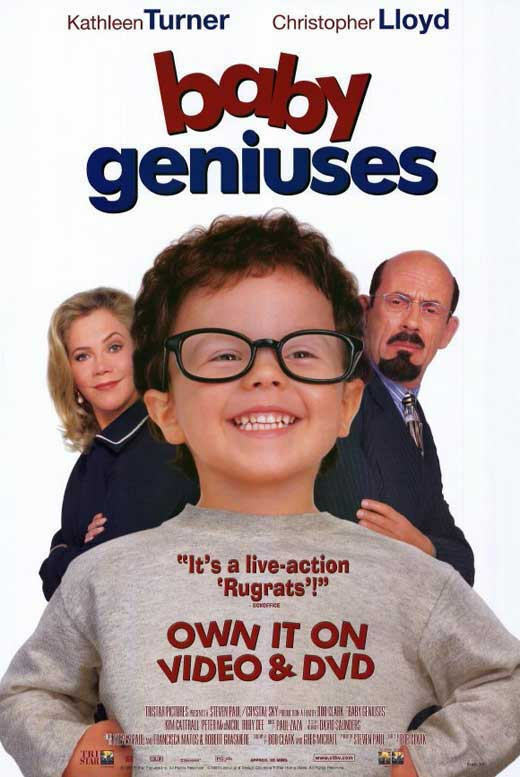 Overall, Baby Geniuses is about as good as you would expect from the title. By that I mean that the film isn’t very good. The humor can be decent at times, but cringey at other times. There are no really good characters which is a bit of a problem. The lead researcher who is always trying to decipher the babies’ code is the best by default. With a better cast and a different premise, then maybe this film could work, but I personally doubt it. I’d advice staying away from this film unless you’re just a big fan of babies and think it’d be pretty adorable to see them having fun. I’ve never been a big babies person so it’s a premise that I would stay away from on principle. I now own the new Blu Ray release of this classic film. 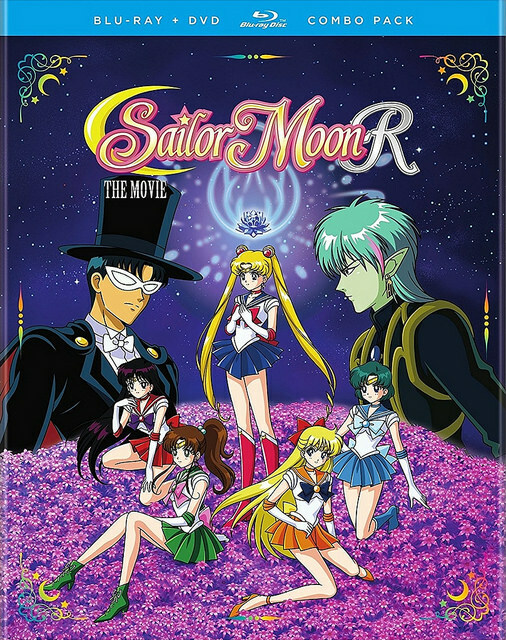 Sailor Moon R had the scouts fight one of their toughest battles so it’ll be interesting to revisit at some point. 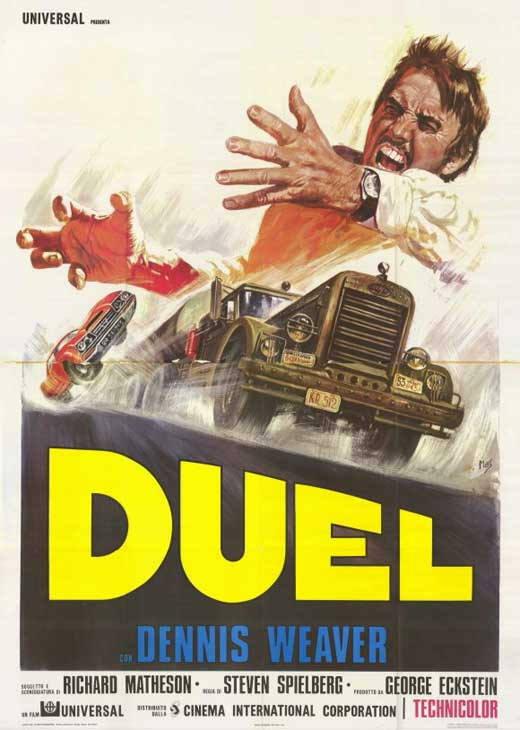 It’s time for an old thriller with a truck as the main villain. We’ve done the evil car trick a few times in the past, but this film is fairly old so it might have been one of the first times we’ve seen it in cinema. Level up the car to a truck and you’ve got yourself a good thriller that’s ready to go. The film does fumble the ball a little in the second half and the main character doesn’t always make the right moves, but it’s an enjoyable film. I do like the lead’s name. David is a struggling 9-5 worker. He gets the job done, but at home there is a lot of stress and drama over something that we never quite learn about. That’s not too important. What’s important is that David has to be home in time or it’s going to get tricky. He sets off on the road, but a giant truck starts honking at him. David pulls out the sweet moves and slows down enough for the truck to pass him. The problem? Now the truck has slowed down just enough so that he will miss a big meeting. David passes him but the truck takes it personally and decides to murder him. Can the hero get out of this? The whole film centers around the fact that this truck is trying to murder the hero. However, he is limited by a set of rules. One, he’ll only go after the main character if he is in his car and ahead of the vehicle or if he drives backwards. David is safe if he stays parked. Next, the truck will attack if he tries to get help from other drivers or alert the cops. Finally, the truck is faster than David’s car so he can’t be out driven. Those are the basics of the situation so you can see how it’s tough for the main character. It doesn’t help that his detective skills aren’t really on point. David could be rather annoying at times though. After being passed by the truck 2-3 times and finally passing it again, he lets go of his lead so he can go fill up on gas at the nearest station. Big mistake since the truck just follows him. We learn by the end that the truck is super fast so it probably would have passed him anyway, but it wasn’t a great move. Then he considers stopping at a cafe later although the truck doesn’t give him a chance. Once in the restaurant, David gets a little too eager and attacks the wrong guy. I had actually thought it was a misdirect and the driver was the lady in red who appeared out of nowhere, but it was apparently someone who got out when the main character wasn’t looking near the beginning or there’s a back exit. David started making some decent moves by the end since there wasn’t much he could do at that point. It was a little late though and he cracked several times so I wouldn’t say that he took the situation particularly well. He wasn’t exactly Tom Cruise. The driver of the truck really liked messing with David though as he even saved a school bus just to show off. At the very least that was a nice thing to do even if it was just a PR stunt. The first half of the film is pretty tense as a result. At first it seems like the driver is just in a hurry or maybe he had some kind of reason for slowing down after that. Gradually it becomes apparent that this guy is crazy and just wants to murder the guy. It’s pretty nice and atmospheric. The occasional change in scenery like the cafe was also pretty good. I liked the scenes in there for sure as we got some nice suspects even if they may have all been red herrings. My problem with the film is that the second half just feels like a rehash of the first. He gets back on the road and into the exact same situation that he was in the first time. I feel like the film may have limited its options a little too much with the plot so they were forced to just keep on going with the same plan. They should have changed things up a bit in the second half. As a result, the film did drag on a little as the pacing completely died. If you watched the first 15 minutes of the film and the last 15, the bulk of those scenes would look very similar. David is driving away from the enemy car. It was a little repetitive and even if you cut out a big chunk of the film, it would have still worked out quite well. The film’s plot is very direct and there really isn’t much of a cast so it didn’t need a full film’s length to tell the story. What it could have done was add some extra characters or a new sub plot. Maybe add that extra climax at the end where a driver steps out to have a fight with David. There really weren’t any subplots which I was fine with. No need for random filler plots, but it is a way to pad out the story. On the other hand, I’m glad we didn’t see more animals. As it is, it was iffy when the trick attacked a place with a bunch of bugs and a dog. Fortunately they seemed to make it out all right. It was a pretty intense scene since it showed that the truck was finally getting serious. I was also glad because it confirmed that the whole thing wasn’t fake. For a little while there, I was worried that the truck was going to be a figment of his imagination or something. The film would have very quickly dropped down quite a bit if that had been the case. Fortunately the film took the high road. Overall, This film is definitely more of a slow burner than Jaws or Godzilla. It’s also a fair bit more repetitive so find something to focus on in the film or you may get bored watching the same roads over and over again. With the effects being rather limited back in the old days, I suppose the movie may not have had a very many options. I’d recommend checking it out if you want to see a good ole speed race. The stakes are high here so they definitely have to go as fast as they can. The lesson to learn here is that if you’re going to race, make sure that you’re ready to win! I saw this film a long time ago so it was time for a revisit. I remember watching some of the old Speed Racer cartoon back in the day. It was definitely pretty fun as the show balanced out the races and the anime stakes pretty well. I can’t think of another racing anime where the main character had to take on armed assailants off the track. This film does a pretty reasonable job of adapting the show, but relies a lot on exposition rather than showing us what’s happening. The races are hype, but end up carrying the film. Speed Racer is determined to be the best racer of all time. That is actually his name by the way so he has a lot to live up too. His brother died in an unfortunate accident a while back after he had slowly been turning to the underworld. His reputation is tainted and Speed Racer’s family has been trying to pick up the pieces ever since. Speed decides to let his brother keep the local racing record, but he still wants the championship. The problem is that corporate business is making a lot of money off of this and they plan to rig the championships. Speed is either in with them on the deal or they’ll destroy him. Can he prove that races are about heart and effort or will greed and money save the day? First I want to give the film some credit for the world they built around the characters. It really looks like something out of a cartoon with how bright and colorful it is. The backgrounds are obviously fake of course, but whether it’s a set or CGI, it works really well. It doesn’t clash or anything and I’d like to see more films go with this approach. Imagine Dragon Ball Evolution actually having a Capsule City background? I can imagine this approach may not be too popular with critics if it’s over done, but embracing the cartoon route is always a good move if you ask me. Especially since this film dials the effects up to 11 when it comes to the racing and action. As mentioned earlier the races are quite good. It’s like watching a live action F-Zero as they race down the neon tracks and dodge all manor of attacks. Missiles and other crazy gadgets are attached to the cars. (Quick shoutout to the video game. It perfectly captured every aspect of the movie’s races) You’re at the edge of your seat here and I’ll take this kind of fantastic car battle over the more realistic Fast and the Furious shots any day. The Mach 5 really feels like an ultimate car and gets the respect it deserves. If the whole film was packed with races it would have been really cool. Unfortunately there are many times where you feel like there aren’t enough race scenes in the movie. The whole first half of the film is essentially speech after speech after speech. The characters just never stop talking and at times this can get old really fast. The film’s writing is certainly not its strongest suit and I think the movie worried too much about trying to paint a picture for the audience. The plot isn’t exactly complex so it should be explained rather quickly. Dragging it out like this just makes me wonder if the writers were confused. The humor also wasn’t that good here. Spritle and the chimp really didn’t need to be in the film. It’s not as if they added anything to the story and that is unfortunately the problem with most comic relief characters. They just aren’t funny. The more the film tries to make them funny by adding joke after joke, the more forced it all becomes and that makes it backfire. As far as the cast is concerned, it isn’t bad. Speed makes for a decent lead as he stands up for what’s right and adapts to the cheating competition. I don’t agree with him holding back on the first race though. If anything, Rex would be proud of Speed surpassing him without having to resort to the dark side. I suppose it’s a nice thing to do though so I won’t fault him for that. Speed should probably suspect Racer X’s true identity, but since it was plastic surgery, that makes it all a lot more convincing than it would have been otherwise. (Although to be honest, he looked the same to me and I wouldn’t have guessed there was any plastic surgery) Speed can also fight when necessary even if he isn’t quite strong enough to handle the ninja. As expected, Racer X is a great character and the best by a longshot. At first you do have to wonder how they can possibly justify Racer X mowing everyone down during the races, but since they were all paid off by the main villain, it makes sense. It’s not as if he’s destroying them either since defeated racers float away in a jello bar. His fight scene with the ninja is one of the stand out moments of the film since the fight scene is actually impressive and played straight. That’s definitely the kind of battle you’d like to see here since the cartoon did have some action as I mentioned earlier. Trixie is a good main heroine. It’s always nice to see someone standing up to the bullies right from the start. The romance between her and Speed isn’t handled well as expected, but it could certainly be worse. At least she is a likable character so that puts her ahead of some of the others. I thought Sparky got the shaft here since his role was incredibly small and he wasn’t likable at all. I don’t remember what his personality was in the TV show, but I’m inclined to think that he was a lot better there. Here…he just didn’t serve much of a purpose. The main villain, we may as well call him Mr. Corporate, was okay. He basically checked off all the boxes on how an evil CEO should act. It was interesting to see him try to rig the races, but you can see why it’s such a dangerous game. If even one racer goes too fast or too slow, all of the money he invested is pointless now. Once Speed was in the game, I would have tried to get a refund instantly. He’s just too much of a wild card. The other antagonists like the Chinese CEO and his racer didn’t really serve much of a point. I do think the heroes didn’t do a good job with the plan since it was so easy for them to be portrayed as well. I suppose they’ll be better prepared for the next time though and the villains were inspired by Speed’s race so it all worked out in the end. I’d be game for a sequel if it could work out the negatives. Overall, Speed Racer succeeds at the main thing it was trying to do, having good races. Unfortunately, you can’t rely on that to carry the whole film forward if the dialogue and story get just as much of a focus. It’s not a bad movie by any means, but it just could have been a lot better. It’s a striking contrast between the dynamic racing scenes and the talking moments. It can be goofy in a fun way at times like the corporate villain coming in for pancakes or just in an obnoxious way like with the monkey. 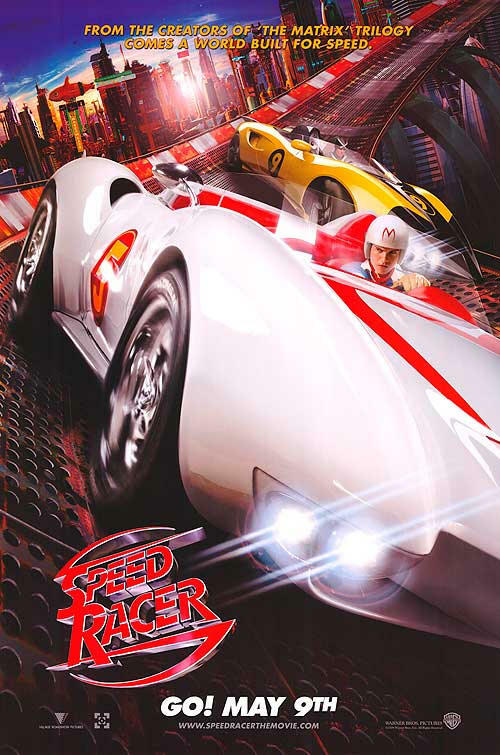 The film couldn’t find that perfect balance which drops it down a star, but is still an entertaining film if you want to watch Speed Racer on the big screen. A sequel or at this point reboot since that’s more likely, just needs to keep up with the races. They don’t need to change anything about that. For the human scenes, they either need to cut down on the exposition since it really hurt the film’s pacing at times, or they just need to get some all star writers on board. Take out the extra humor as well and you’ve got a quality movie. Nintendo should take the plunge and make an F-Zero movie to show these guys how it’s done. What would you do if someone was going to record the rest of your life? I’ve always wondered that as I forgot to save my latest replay in Super Smash. If someone had been filming me, then they would have been able to see it and I could have rewatched it through the video on demand feature. I’ve won so many good matches and had many epic gaming moments that I feel should be preserved in the video game hall of fame. Naturally not every part of this would be glamorous and overall I’m glad that I’m not part of a reality show. Truman doesn’t actually know that he’s on a show though. He grew up in this world and just enjoys leading a rather ordinary life. Every day he goes to his job and works to get more clients to buy things from him. He had a good time in school and made a lot of friends. Truman is even married. Truman starts to feel like something is weird when his dead father shows up out of nowhere and is quickly kidnapped by the proper authorities. He also notices people following him and even talking about him on the radio. The whole town seems to be trying to keep him from leaving the city as well. Is it all some conspiracy? Truman doesn’t know what to think, but he needs to get out of this town before it’s too late. It’s definitely a pretty interesting concept. I do think it’s a little tricky in the sense that I just don’t see how it would work all that well with the amount of crazy variables at play. They’ve essentially hired everyone in the town as an actor. They all actually live there and to an extent it is their life. They can probably leave for a while under the context of it being a vacation, but I feel like a bunch of them would spill the beans at some point or cause some complications. The film briefly shows people breaking in to warn Truman, but fortunately for the studio the lead character is extremely slow on the uptake. We’ll suspend some disbelief though as the film did a fairly good job at taking the premise as far as it could go. The other main part that could be a little tricky was Truman’s big escape plan at the end. How did he figure out exactly where the cameras were? Furthermore, he was able to move at an angle where nobody could see what he was doing at all? I had to suspend a little too much belief here as even when he was running to the boats nobody saw him. Surely there were a bunch of cameras in that area so it should not have been possible to escape them for any longer than a minute or two. Still, at least Truman kept trying even if it took him a while to get there. Truman definitely got a lot of warnings even if he didn’t listen to them. Whether it was the ramblings of his school friend who told him it was all an illusion or seeing his father again, you’d want him to get a little suspicious. Then actually seeing first hand that everyone was performing the same actions every day and that they were following him was odd. The signs everywhere telling him not to leave the city…I just don’t see how he didn’t connect the dots sooner. The twist about his plan certainly helped him salvage some of his dignity though as it opens up the door on when he really found out. Perhaps it was a lot sooner then we expected. The best scenes in the film were probably the early middle ones where Truman was trying to prove that he was in a show. Driving around town and outsmarting the NPCs was definitely fun and breaking into their base for a moment was pretty good as well. It would have been nice if he had kept on doing that. An interesting part of the dynamic is for once, the show isn’t evil. It’s not like they’ll murder him if he keeps on trying as they’re still paid actors who want their salaries. The country has probably lost some of their ethics by letting this go on and allowing a corporation to own someone in the first place, but there is probably still some humanity left. The final boat scene may disagree to an extent, but the show would probably be sued. The people watching the show were definitely suspect though. Personally I’m not sure how it would be such a hit. People like watching others as you can tell from Twitch, but I do think they wouild grow bored after a while. Especially if the show is always on 24/7. You’ll want to watch something else after a while. Still, I guess Truman can at least he satisfied with the fact that he’s the star of the highest rated show in Earth’s history. The main villain was pretty good. He definitely embodies the corporate image and is always a quick thinker. He doesn’t care about the ethics, just his check. He wants to keep making money and doesn’t want the show to stop. Of course, the show must end at some point and even he is forced to acknowledge this truth. The rest of the characters were okay I suppose. Truman’s wife was pretty iffy, but she was paid to keep getting in the way. Truman’s beer buddy was equally annoying for the same reasons. I do wonder what the show would have done if Truman had accepted the offer to move away in a few months. Would they have been able to create a set that massive to simulate the city? I think they actually would have written themselves into a dangerous situation there and would need to fake an accident or something. 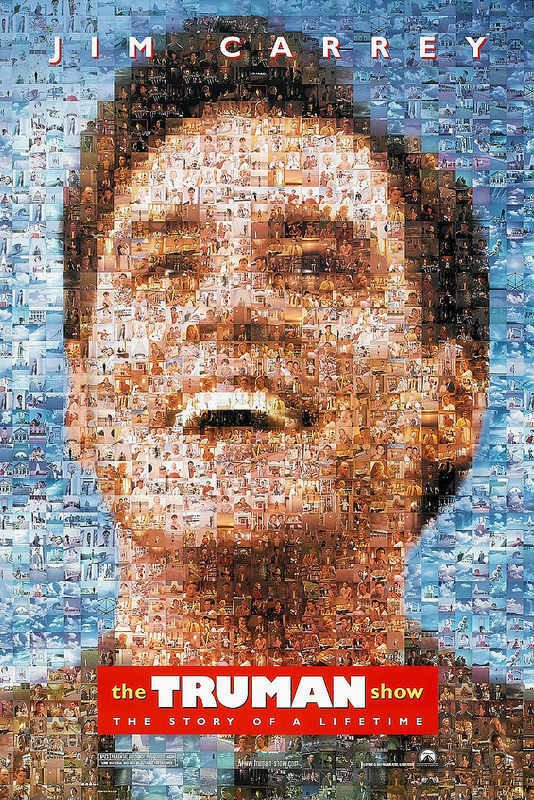 Overall, The Truman show is a pretty enjoyable film. Truman himself may go overboard with the facial expressions, but the show probably influenced him to act like that right from the start. It may be a tough premise to really buy into, but it was still fun to watch. It would certainly be interesting if your life turned out to be a show. I always treat life as if I’m the main character of my story anyway so it wouldn’t really change much. I may try a little harder in eating competitions though for style points if I was on a show. I’d recommend checking this film out. It’s certainly pretty unique. The story follows a reporter who is going around trying to find intel on 3 teenagers who went missing. Their names as Josh, Mark, and Ashley. The reporter has an interest in the case since Josh was her big brother. The problem is that the government keeps stiffing her and since this disappearance happened years ago, all of the trails have gone cold. Fortunately, Sophie is told that the school found a camcorder at a secluded facility in the middle of nowhere that actually still works. Sophie pops it in and finally learns the truth behind the mystery. She is stunned at the results! So, that’s effectively the subplot as it takes place in the present, but most of the film is in the past. Since Sophie is making a documentary, naturally all of her scenes are filmed as if they’re found footage as well. We jump to the past where Josh decides that he wants to find some aliens. After all, he saw some strange lights a while back that seemed like UFOs. Mark and Ashley join him and the three decide to run through a bunch of mountains. They do this for a while and then get lost once it’s late. They do what any other mainstream teenager would do, they break open the beers and start panicking. Before long the aliens show up and take them down. There are so many problems with this film that it’s quite tragic. For starters, we have the token animal violence. Why is there animal violence in this film? Well, apparently the aliens are still working on their tractor beams as they tend to burn the targets up instead of sending them into space. It’s also awfully fast since they burn parts of the animals but then leave them on the ground. The scenes are utterly pointless much like the film itself and you’ll wonder just how low this film will stoop before it finally ends. The writing is terrible as you’d expect. All of the characters are really annoying and since the camera work is terrible on purpose, you’ll find yourself cringing the whole time. I don’t use the word lightly, but this is another reason why I don’t like the found footage genre. The zoom ins on all of the characters are much too close and the ametuer style in which they’re filmed is just not entertaining to look at. Honestly, I’m not even a big fan of the old family videos everyone made back when it was trendy but at least I was starring in those so it made them a little more fun. I don’t want to watch a video of strangers just hanging out and drinking beer. It’s just not cool. The aliens don’t actually do anything for the first 60 minutes so that time is just the heroes chatting about nothing really and trying to be as unlikable as possible. The film never even tried to make them good characters if you ask me, but there were none in the whole film. Even the government turned out to be evil and corrupt as always. It’s sad that the government is almost always either incompetent or evil. It’s rare to find movies where they are portrayed as capable heroes but I’m always glad when I see that happen. The film’s plot is also just barely held together. See, the writers needed the whole story to be filmed on camera, but this wasn’t even possible without plot holes. Towards the end of the film we see Josh taken up by the aliens as he drops his camera and it gets thrown around in the twister. Then….Josh somehow fights his way through the alien ship in a matter of seconds, escapes through the hatch, makes his way back and grabs the camera, runs to a bathroom…and is then kidnapped again. Then the camera is sucked up again, survives a vicious crash, and then someone mails it to the school. The whole thing was super convenient and also unbelievable. I don’t see how Josh could have gotten out of the tractor beam when nobody else could have. I don’t see how nobody would notice the aliens this time when they’re so bright and loud. People would definitely notice that kind of thing. I just couldn’t get past this ending. The aliens also don’t really show up. We see a claw or a foot for a split second and that’s it. Clearly this film didn’t have much of a special effects budget so this turned into an alien film without the aliens. That’s just peachy. Back to the humans not being likable, the film maybe tries to hint that the aliens mess with your mind. I’m not too sure about that and prefer to just think that the humans are terrible. Mark constantly panics and drinks. He refuses to talk with the others even though it would make the whole process quicker and is the main reason everyone was talking in circles for a while. They could have stayed in the car where it was semi safe, but he wanted to run the 15 miles to the nearest gas station. Even then he got distracted within seconds. Ashley also panics at everything and keeps forcing the group to stop so she can tie her shoes or panic about her hair falling out. The only guy I almost felt sorry for was Josh because he would have escaped the aliens if he didn’t have to stop for the other two every 5 seconds. Clearly he should have gone on by himself. He wasn’t a cool character either though so I was cool with the aliens claiming the win here. They just need to take on the rest of the town n ext. The film is super dramatic and tries to be emotional constantly. We have a divorce subplot and they really try to forcefeed you the “You have to be sad now” memo as we see the parents cry about the teens being gone and everyone assuming the worst. The home cam videos are supposed to really reinforce this. All it does is stretch the film out even more and completely destroy whatever pacing the film could have had. This film could have been shortened to 30 minutes and you wouldn’t have missed a thing. Also, why was Sophie’s camera man never really shown until the end? I thought the film was gearing up for some kind of big twist like he was Josh or something and that’s why everyone kept looking at Sophie like she was crazy. The twist would have been terrible but at least it would have been something. Otherwise, the camera man is just another empty character whose existence is only to hold the camera so Sophie can get a good shot. Overall, As you can guess I really didn’t like the film. It’s basically just 90 minutes of nothing happening. The alien “jump scare” scenes are pitifully bad and wouldn’t scare a kid. The repetition is annoying and since the aliens keep taunting the main characters instead of doing something to them, I have to assume that they’re just petty. They don’t seem to have any actual goals so I’ll assume that they are mindless as well. There’s really only negative things to say about the film so as you can tell I really didn’t like it. I’d say that Cloverfield was a better found footage film and even Paranormal Activity which by all accounts should be worse as it’s a full horror plus this genre, but was actually far superior. Next time you secretly want to make a film about teens just running around and just acting like terrible people with no extra plot…don’t. Instead of this film I recommend watching something a little more intense like the first Jumanji. This review is of the edited TV-14 version of the film. All thoughts below should be addressed as such as a review of the unedited version would likely be more negative. 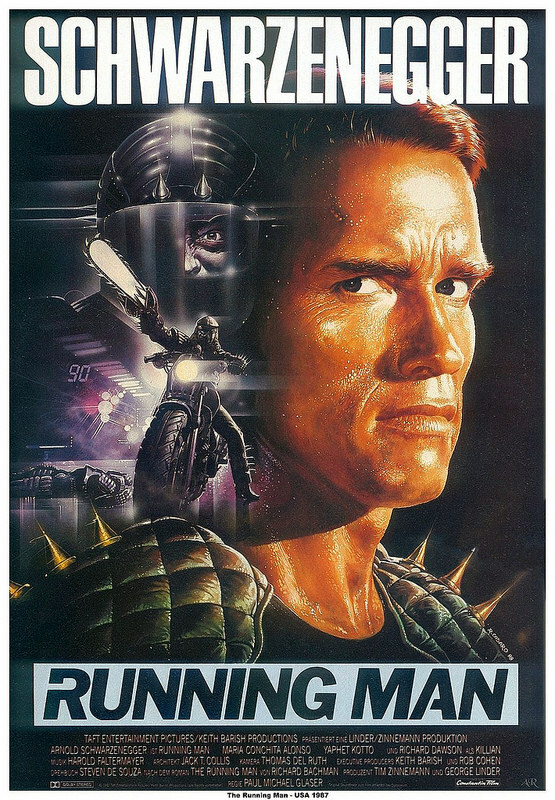 I wasn’t too familiar with The Running Man, but the plot definitely sounded like a lot of fun. A corrupt dystopian world has come up with a reality show where assassins chase convicts around. Seems messed up enough for this future. Then throwing in Arnold Schwarzenegger into the picture just makes the whole thing that much more epic. I can safely say that the film was pretty fun and is one that you won’t want to miss. Ben used to work for the government, but when he defied their orders to murder a bunch of innocents, he was sent to prison. He helps some other convicts escape and decides that instead of trying to beat the system, he’ll simply find a way to survive it. He breaks into his friend’s home, but it is now owned by a lady named Amber. She doesn’t take kindly to being threatened so she gets the cops to lock Ben up. He is now going to be forced to be in The Running Man, where he will have to outrun several hunters who are each armed with deadly weapons. His two expendable “friends” (They aren’t, but the show thinks that they are so why not let them believe that right?) have also been thrown in though along with Amber. Can Ben take these guys down and figure out a way to shut the show down or is it simply too late for any last second heroics? One thing you’ll notice about the film right away is that the soundtrack is on point. There are quite a lot of fun themes that play during the film and it certainly amplifies the experience. A good film gets that much better with a dynamic soundtrack and they really make the action scenes come alive. The visuals also look pretty good. Considering how old the film is, the effects have aged pretty well and I like how they envisioned 2017 to be. The city looks realistic enough even if it’s not quite so run down. I imagine that this film must have gotten a pretty decent budget back in the day. The characters are also solid. Ben makes for a great lead. He’s heroic and dependable. Sure, he’s not quite willing to risk his life to join the rebellion at the beginning, but he doesn’t turn his back on others once he is forced into the game. He also doesn’t murder the villains once they are unarmed. If it’s the fastest way then he won’t hesitate to do so, but he won’t go out of his way just for revenge….for the most part. Ben’s a strong fighter and the heroes would have been doomed without his military expertise. I have to say that he pulled off the role quite perfectly as few actors can be as convincing. The main villain, Killian is also pretty good. He knows how to work the crowd and does a good job of building up the suspense. He doesn’t even let Ben get to him as he knows that this will bring the ratings up. He talks a good game to everyone and while he is a ruthless boss, you’ll be okay as long as you stay on his good side. Mop the floors at your own peril since it can certainly get you into heaps of trouble. The sub villains were all right as well. The only bad one is Dynamo as he fulfills every overweight villain cliche in the book. He’s awful petty and also isn’t much of a fighter. Once you get past the suit, he’s the kind of villain who begs for mercy. The others at least had more dignity than that. Chainsaw put up a good fight before going down and I also liked Sub Zero. It was an interesting take on the guy compared to the Mortal Kombat version. Not as deadly, but fun all the same. The Fire villain was also pretty good since he got quite a bit of foreshadowing and hype. He probably should have moved a bit quicker though. Captain Freedom probably had the most personality from the minions and I like how he simply refused to get into the ring. Nobody was about to talk back to him. Amber isn’t the best of heroines. She spends most of the film running and panicking. You have to give her some credit for getting away from Ben though. If you put yourself in her shoes, she totally did the right thing. Kidnappers always tell you stuff like “Don’t try to escape” and make a bunch of threats to keep you in line. She took a big risk by making a break for it and yelling and it paid off. While it didn’t work out well for Ben, at least she made a move. Too bad she couldn’t keep up that confidence for the rest of the film right. If I had a minor nitpick for the film, it’s that the costume in the poster doesn’t really match the one in the film. At the very least I don’t recall the spikes being quite so big. It’s not really a negative just something that I noticed. The film’s camera work is pretty good. Sometimes it can be a little tough to see what’s going on in the background with the low lighting, but I feel like that was made to capture that CSI Miami kind of atmosphere as everything is a little grittier and more life like. Fortunately it was just in the camera work as the actual film isn’t really gritty at all. Some characters get stabbed and such, but at least in the version that I saw it wasn’t explicit or anything. There is some unfortunate fanservice as we get a really long dance sequence. I suppose it’s a parody to the fact that if society did go downhill we’d be seeing that in every show. It’s fortunately not a huge deal though. The ending to the film is also pretty funny. I was personally expecting it to go down a slightly different path as the guy in the tube lands safely but then sees Captain Freedom and has to try and escape from him. How it was handled worked well enough as well though. The writing is pretty solid with classic lines like “I’ll be back” and more than a few one liners from Ben. I love puns and one liners as you may know from my comic reviews and the film pulls it off well. It’s just another drop in the bucket to help this film reach “great” status. The climax is also pretty great even aside from the ending. The banter between Ben and Killian was really good and I liked seeing the heroes finally infiltrate the TV station. They were pretty well organized and it added some extra action and excitement to the ending. Even Amber got to win a fight on her own. The film carefully balanced the epic and funny moments with the serious atmosphere. Overall, The Running Man is just a fun film. It really breezes by to be honest and the pacing was on point. It never dragged on and still managed to bring in a lot of content. We got to see Ben before the game, during it, and even become a resistance fighter afterwards. None of the pieces felt rushed either and it shows that you can still pull off quite a lot in under 2 hours. I certainly recommend watching this film. It’s not quite as well known as it could have been. It has all of the elements that you could want in a big action film.